Editor’s Note: This post is part of a 28 day blogging challenge from Imperfectblogging.com. The goal is to develop your blogging voice. To learn more, click here. When you think about Shakespeare’s famous quote (the one in the picture above) what comes to mind. For me it means finding a place of authenticity within yourself and being okay with it. As writers, journalists, or storytellers, this is crucial because that’s where stories come from, a place of untouchable authenticity. That’s step one to the story, to find its truth. Step two is to tell it. For Dr. Maya Angelou, that place of authenticity within one’s self is the thing one must keep pristine, clear from anyone and everyone, including yourself. That’s that one place where no one can tell you about yourself, the core of the truest true and the purist pure. Your most authentic self. So, what’s my truth? Now, that is a GOOD question. Many times in my life, when people wanted to define who I was (and there have been many) I asked myself that question. Who am I? What’s my truth? I started that journey so long ago and from that moment, and all the moments since, I remember (as if I could forget) who I am. I am a writer. A sister. A daughter. I believe in the truth in all its forms. I believe words are a form of truth and that using them for anything else is blasphemy. I believe in empowering not only myself but others in any way I can, most especially when it comes to writing or storytelling. I am my father’s daughter, my grandmothers’ grandchild. S: Self-acceptance, even when it’s hard. F: Finding my path (no matter where it takes me). What about you? 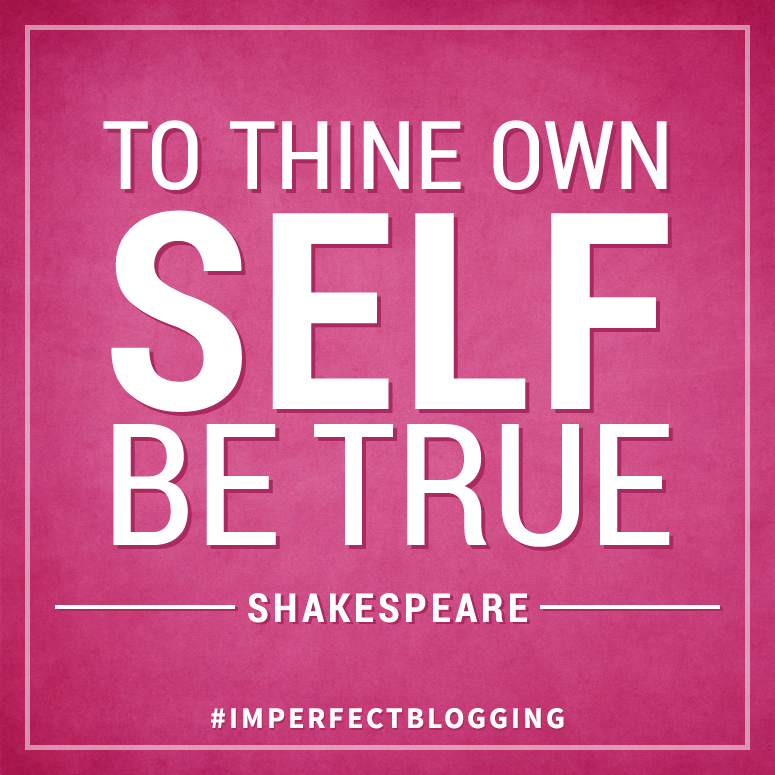 What does Shakespeare’s quote mean to you? I adore Maya Angelou. She is such an inspiration to me.